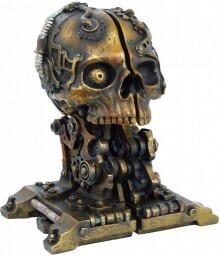 Pair of bookends in a dark Steampunk design. Excellent detail. Made from a quality resin with a bronze effect finish. A unique and interesting addition to the bookshelf.